And, not to mention, they are in sunshine! 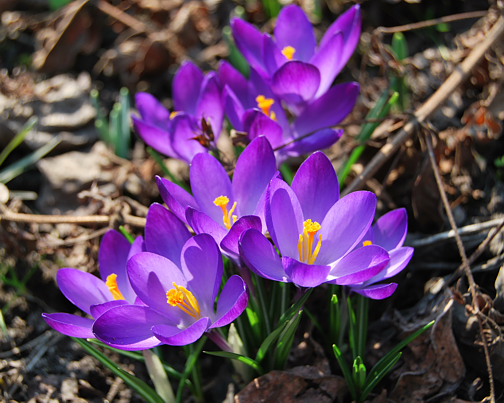 Lovely my prairie crocus has just started blooming here. 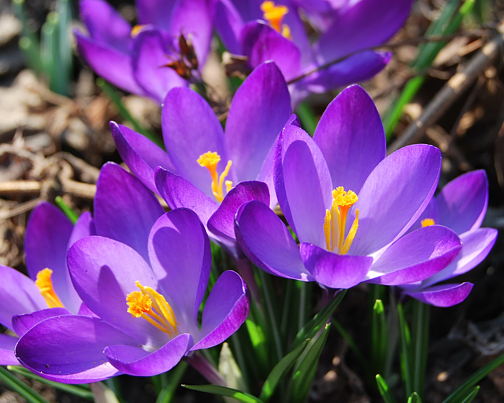 I just am startled by the beauty of a simple crocus in these photos. The color is incredible and the clarity of your photo just breathtaking!